The girls are with the grandparents and the DreadBrewer and I are on our way to sunny California! I don’t actually know what I’m must looking forward to: glorious uninterrupted sleep, days of sunny, warm weather, lovin’s without the threat of interruption, or the amazing craft beer available in San Diego. We made it! And within an hour of landing, we’re having tasty food and even tastier local brews. Stay tuned for the drool worthy beer recap in a few days! 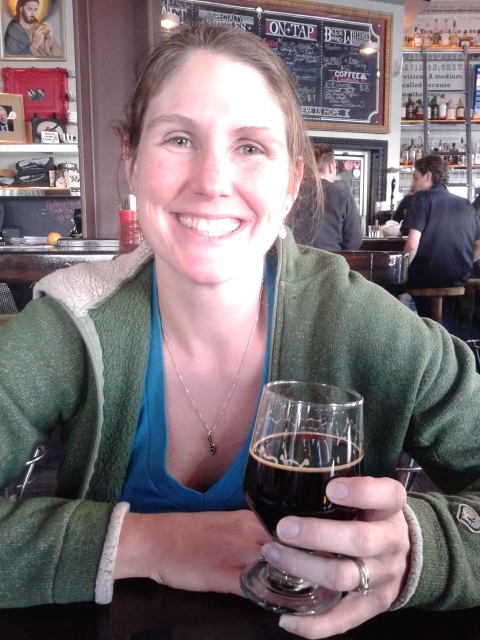 This entry was posted in Babies, Brewing and tagged BrewsterMama, Vacation by BrewsterMama. Bookmark the permalink. Yay for couple time! Hope you have an awesome time!